What is the Connectome Coordination Facility? The CCF currently supports 20 human connectome studies. Scroll down to learn more. The Human Connectome Project (HCP) has tackled one of the great scientific challenges of the 21st century: mapping the human brain, aiming to connect its structure to function and behavior. HCP Lifespan Projects are acquiring and sharing multimodal imaging data acquired across the lifespan, in four age groups (prenatal, 0-5, 6-21, and 36-100+). HCP Disease studies apply HCP-style data collection methods to subject cohorts at risk for, or suffering from, disorders affecting the brain. We have released and maintain a set of open-source Connectome software that supports browsing, download, exploration, visualization and analysis of HCP data. 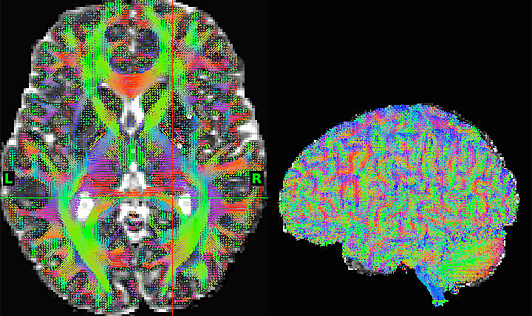 Learn about multi-modal neuroimaging data, analysis, and visualization tools of the Human Connectome Project. This course is being offered in Portland, Oregon. August 25, 2016 Update: A series of improvements and bugfixes has been released in time for the HCP Workshop. Apr 11, 2018: Reprocessed 7T fMRI data released + other updates! HCP Lifespan Projects are acquiring and sharing multimodal imaging data acquired across the lifespan, in four age groups (prenatal, 0-5, 6-21, and 36-100+). The scanning protocols are similar to those for the WU-Minn Young Adult HCP, except shorter in duration. HCP Disease studies apply HCP-style data collection protocols toward subject cohorts at risk for, or suffering from, diseases or disorders affecting the brain, with a goal of providing comparable data to healthy HCP subjects across the lifespan. These studies are not explicitly chartered under the Lifespan HCP or Disease HCP grants, but are studying brain function using the rigor and methods of the Human Connectome Project. Connectome software has been developed that fully supports browsing, downloading, exploring and analyzing of HCP data. Connectome software will be downloadable as individual components with full documentation on installing and using the tools. 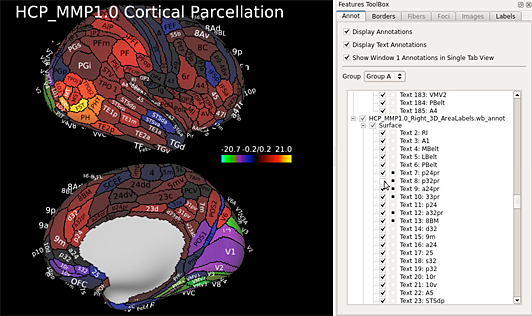 Connectome Workbench is an open source, freely available visualization and discovery tool used to map neuroimaging data, especially data generated by the Human Connectome Project. The HCP Pipelines product is a set of tools (primarily, but not exclusively, shell scripts) for processing MRI images for the Human Connectome Project. Among other things, these tools implement the Minimal Preprocessing Pipeline (MPP) described in Glasser et al. 2013. 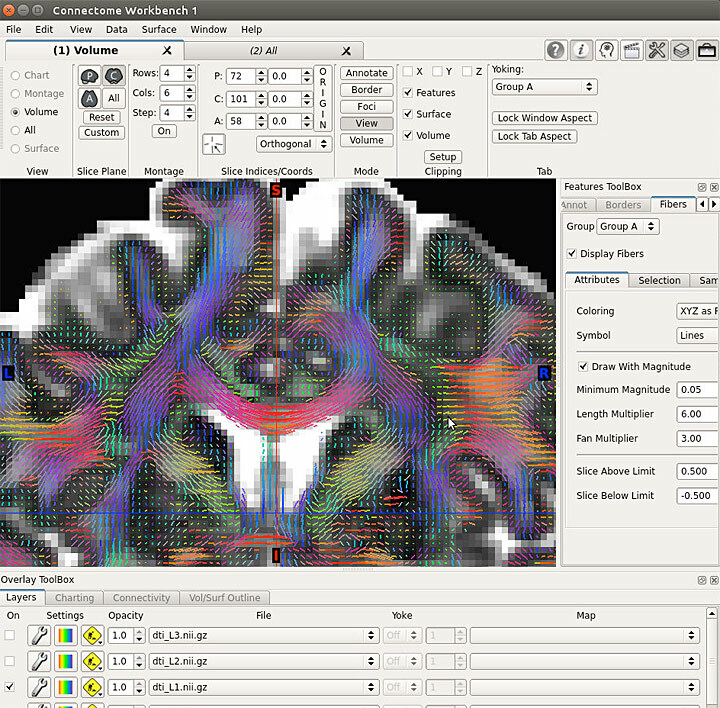 The analysis of MEG data in the Human Connectome Project is performed using FieldTrip, a MATLAB toolbox for MEG and EEG analysis, in combination with additional analysis scripts and functions that have specifically been written for the HCP.